End-stage renal disease (ESRD) is a state when the kidneys do not function adequately, hence, there will be an accumulation of waste and toxic materials in the body. This leads to permanent damage to body tissues and organs. 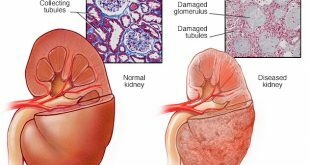 When the kidney function is less than 15% of normal capacity, the patient will need some form of renal replacement therapy in order to survive. In Malaysia, this has become an increasing health and economic burden. The number of patients commencing dialysis i.e. hemodialysis (HD) and peritoneal dialysis (PD) has doubled in the last 10 years (2001 – 2010)1. Although renal transplantation is the answer in terms of restoration of kidney function, this modality of treatment is limited by the scarce supply of organs in this country. For patients on hemodialysis, the usual treatment regime is 3 sessions per week, 4 hours each session either in the hospital or dialysis centre. For patients on continuous ambulatory peritoneal dialysis (CAPD), they will have to perform 3 to 4 bag exchanges at home daily. Patients with ESRD face long-term physical, psychological and social issues in relation to their medical illness and therapy. Dialysis treatment can cause a significant change in daily living, disruption in work schedule and change in social role. It is a challenge for dialysis patients and their families to adapt psychologically and adjust socially. The aim of renal rehabilitation is to assist patients physically as well as psychosocially in order to lead a quality dialysis life. It is very important for the renal patients to accept their disease and understand their need for long-term dialysis. Patients requiring dialysis should ideally be cared for at a centre with nephrology service, renal trained nurses, and nephrologist (doctor specializing in renal medicine). Before starting any form of renal replacement therapy; patients will be counseled on the various modality of dialysis and each patient will be assessed individually to ascertain the suitability of each modality. Early preparation can prevent the patient from detrimental consequences of renal failure. Trained nurses will be assigned to educate and monitor patients on their dialysis modality of choice. It is important that a patient on dialysis adhere to their medical therapy and keep in close contact with their doctor. This can help boost their general well-being and keep them more energetic to pursue their daily and leisure activities. Patients should also comply with dietary instructions and keep in contact with the dietician. Patients may change their work for a variety of reasons when they initiate dialysis. It is important, to be honest about your medical condition yet be positive about your potential. You should liaise with your doctor for documents to explain your health condition. In Malaysia, almost two third of the dialysis patients are able to return to full time or part time work for pay 1. Children generally will be initiated on peritoneal dialysis unless there are specific contraindications and most can still attend full or part time schooling. There is an increasing number of young adults who juggle well between studies and dialysis. Regular exercise is extremely beneficial for people with end-stage renal disease. However, exercise programmes should be designed to fit your physical capabilities so that you don’t over-exert yourself. Always consult your doctor if you are unsure. In most centres, a dialysis patient will be under the care of a dialysis nurse and nephrologist. You should contact your respective dialysis nurse or doctor if you have questions regarding your dialysis. Your nurse can also help to schedule an appointment to see your nephrologist earlier if the need arises.